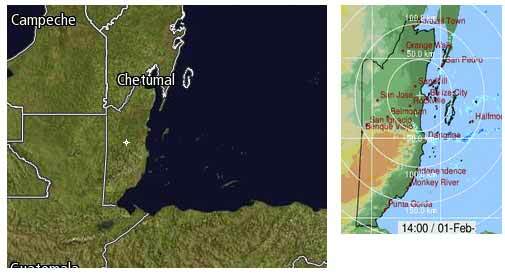 Belize NMS: Cool and relatively moist conditions continue over our area. 24-hour forecast: Cloudy spells with a few showers mainly over some coastal area this morning. Elsewhere, showers will be generally isolated. General Outlook: (Friday and Friday night) Isolated showers to occur mainly over the coast, and then the chance of a few more over inland areas in the afternoon and along the coast Friday night. 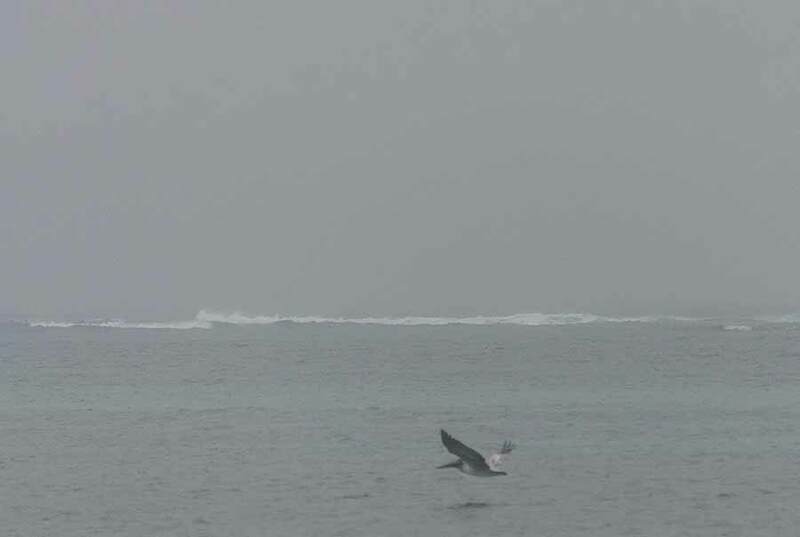 Today E-NE 5-15 kts Choppy-Moderate 3-6 ft A FEW SHOWERS. Tonight E-NE 5-15 kts Choppy-Moderate 3-6 ft ISOLATED SHOWERS, WITH THE CHANCE OF A FEW MORE OVER THE SOUTH. Tomorrow N-NE 5-15 kts Choppy-Moderate 3-5 ft ISOLATED SHOWERS, WITH A FEW MORE OVER THE SOUTH. Outlook NE 5-15 kts Choppy-Moderate 3-5 ft ISOLATED SHOWERS, WITH A FEW MORE OVER THE NORTH. On Ambergris caye this morning the wind is from the North at 7 mph. It's grey and drizzling with heavy cloud cover. 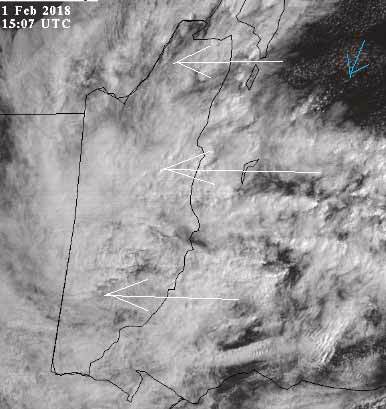 The expected high is 76 f.
All I am able to see from one satellite is a total blanket of cloud over Belize, coming in from the east. 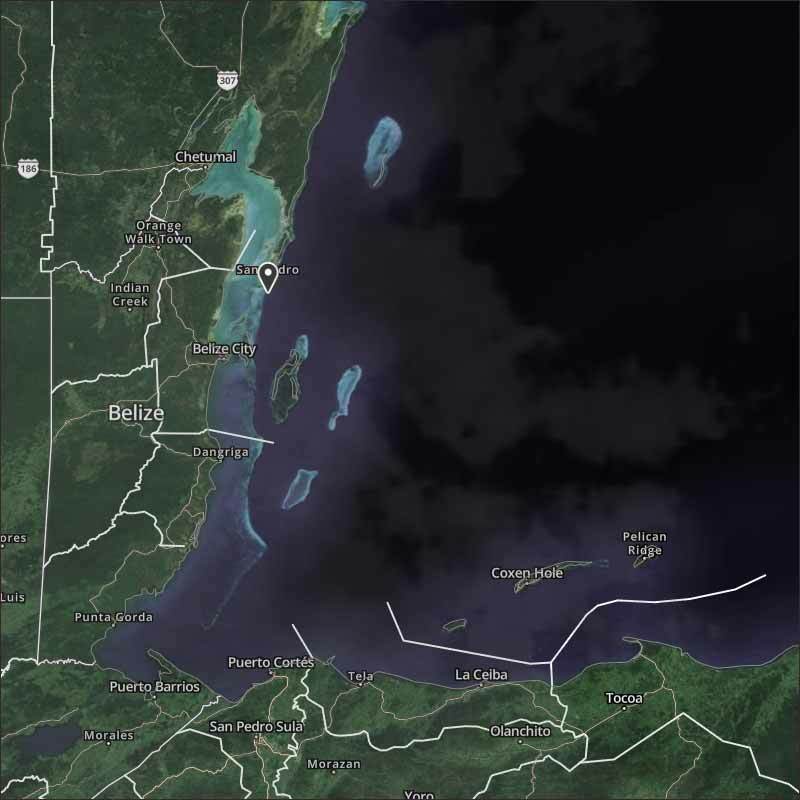 There is no cloud shown on the other satellite pictures, the Belize Met office radar is showing a little rain out at sea, but little or none on land. But my roof says it is raining and has been for hours, OK light rain, but it is rain, I have had 7.1mm of rain this morning. So much for modern weather monitoring, I think I will simply have to rely more on the old fashioned way. Looks to me as if the easterly Caribbean winds are returning and replacing the cooler air from yesterday, with the result it is causing light rain, probably over most of the country. I suspect this will continue for most of the morning and some into this afternoon, perhaps a few glimpses of sun in a few places this afternoon.